For the second year in a row, Troy High School’s graduation rates are on the rise. 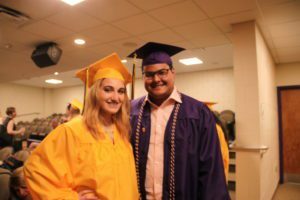 The 2017 graduation rates released by the New York State Education Department indicate Troy High School’s graduation rates have increased 3 percent from the previous year and 10 percent from 2015. 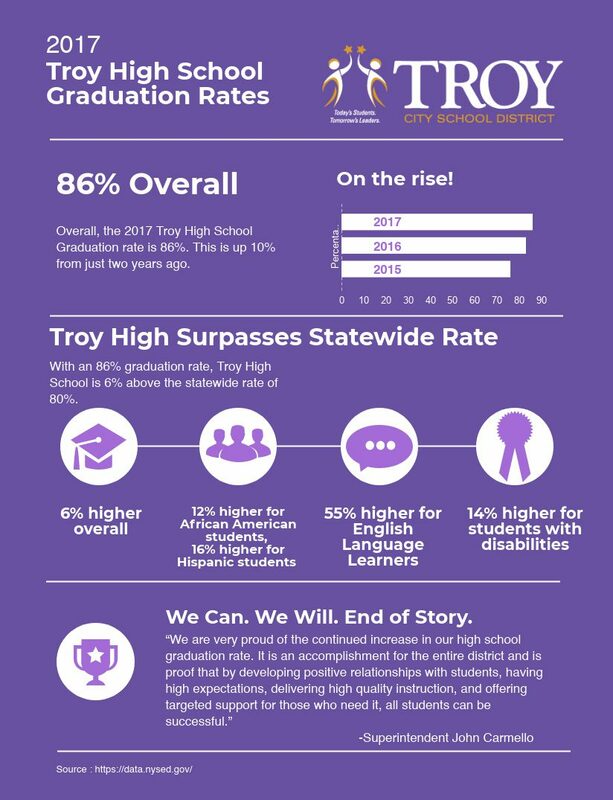 At 86 percent, Troy High School’s graduation rate exceeds the overall statewide rate of 80 percent. Additionally, Troy High School’s rates are greater than the statewide rate in nearly every cohort of students. “We are very proud of the continued increase in our high school graduation rate,” said Superintendent John Carmello. “It is an accomplishment for the entire district and is proof that by developing positive relationships with students, having high expectations, delivering high quality instruction, and offering targeted support for those who need it, all students can be successful.